The Wild Fish Conservancy believes continued funding of the Columbia River Basin's salmon and steelhead hatchery programs by the National Marine Fisheries Service and the U.S. Department of Commerce violates the Endangered Species Act. The conservancy filed a 60-day notice of intent to sue on Jan. 13, saying Mitchell Act to finance the hatchery program without proper consultation, as required in Section 7 of the ESA. "DOC and NMFS have never consulted with NMFS on some of the hatchery programs at issue," the notice says. "For the others, NMFS did consult with itself many years ago." The potential lawsuit could greatly impact tribal and sport fishing in the Columbia Basin, and drew a quick rebuke from the Columbia River Inter-Tribal Fish Commission. "Carefully managed hatcheries play a critical role in Columbia Basin salmon recovery by rebuilding salmon populations while supporting fisheries," Paul Lumley, executive director of the CRITFC, said in a statement. "Lawsuits like these could hurt salmon recovery efforts and distract us from the bigger picture of working together to reform hatchery practices." The Northwest Sportsfishing Industry Association (NSIA) said the region should be focused on getting more spill to help all fish, rather than bickering about the hatchery program. "More spill would double the returns of wild spring Chinook back to Idaho, potentially taking them off of the ESA lists," Liz Hamilton, executive director of NSIA, said in a statement. "Instead they attack the hatcheries that were built to mitigate the construction of eight federal dams in a system of over 208 dams. The only effect wild fish would notice from WFC activities in the Columbia would be the loss of tens of millions in funding for conservation and recovery. Misguided, misinformed or ill intended, we all lose from these activities." The notice says NMFS issued the Biological Opinion on Artificial Propagation in the Columbia River Basin on March 29, 1999, but since then "numerous actions and events have occurred ... that have triggered the obligation to reinitiate consultation. "Indeed, NMFS issued a letter to several of the hatchery operators dated July 27, 1999, indicating that a new consultation was required and requesting that the agencies reinitiate consultation," the filing says. NMFS and DOC violate the ESA, the filing says, by providing, authorizing, approving and/or disbursing funds for the operations and maintenance of, and improvements and upgrades to, hatchery programs under the Mitchell Act without complying with the procedural and substantive requirements of ESA's Section 7. The hatchery program is funded by NMFS under the Mitchell Act, and according to the filing "adversely affects the ESA-listed species and their critical habits through a variety of mechanisms, including facility effects, fish removal activities, genetic and ecological interactions, harvest and monitoring and evaluation, according to the notice of intent." Since 1999, NMFS has failed to initiate or reinitiate consultation for nearly all of the 62 hatchery programs in the basin, the notice of intent says. The filing says that NMFS consultations prior to 1999 are outdated because several salmon and steelhead populations in the Columbia Basin have since been listed under the ESA, and "considerable new scientific information regarding the adverse effects of hatchery salmon on wild, ESA-listed, salmon has become available. Both new listings and new scientific information required that previous consultations be reinitiated immediately." 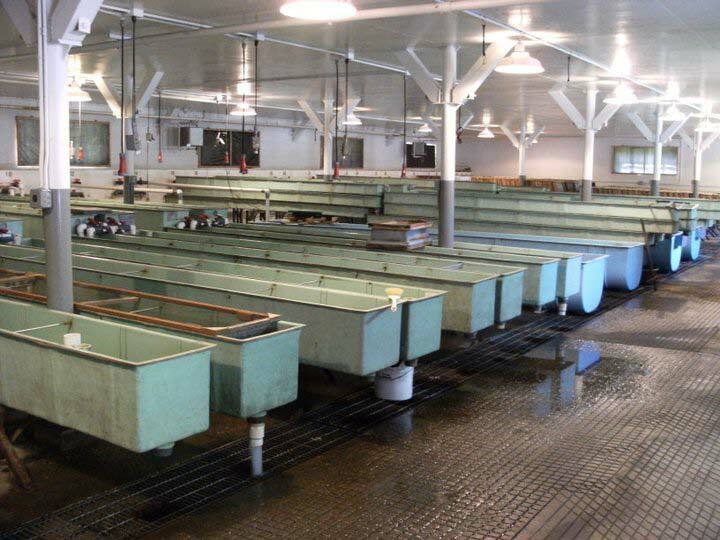 The intent to sue cites studies dating back to 1999 from the Hatchery Review Group, Independent Scientific Advisory Board and the Recovery Science Review Panel, which showed the amount of incidental take by the hatcheries has exceeded the BiOp.